Here you will find dogs we have not bred, but we do co-own that are out showing or doing performance. Ranked #1 Owner Handler 2014! Marti is an AKC Grand Champion and he was the 1st male AKC Champion for the breed and 2nd male Grand Champion behind his son Sailor! Marti earned his Silver GCH title in Sept 2014! 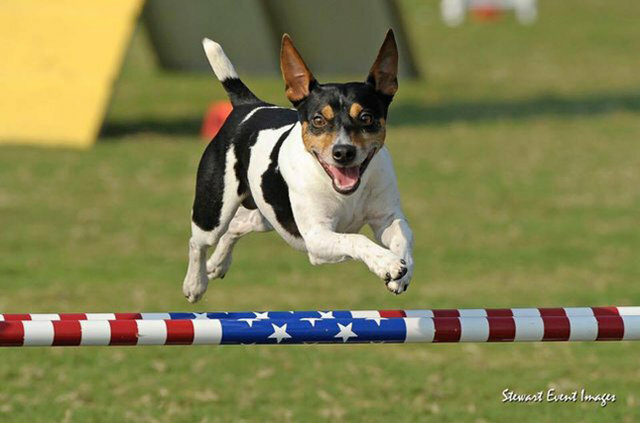 The 1st Rat Terrier to reach the Silver level! Marti earned his Bronze GCH title in Feb 2014! 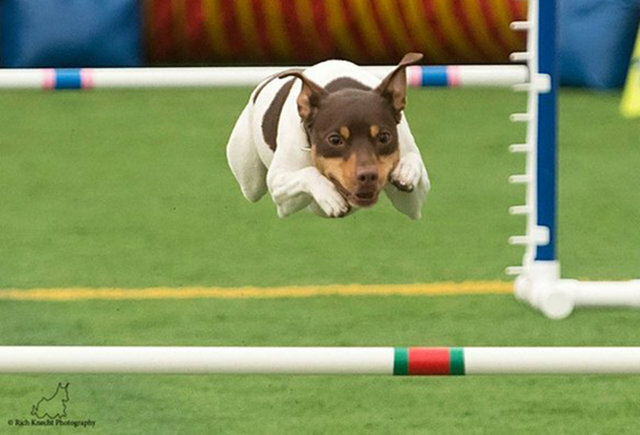 The 1st Rat Terrier to reach the Bronze level! 2013 Premier - Marti was awarded 2012 Top Ten Best of Breed, he then went on to be selected in the semi-final round out of 20. At Top Ten Finals Marti went #3. Just so proud of all his accomplishments. Two of Marti's sons (Hunter & Paolo) went BOB and group 3 at Premier 2013 and another son (Skipper) went Group 1 Total Dog out of a huge terrier group. 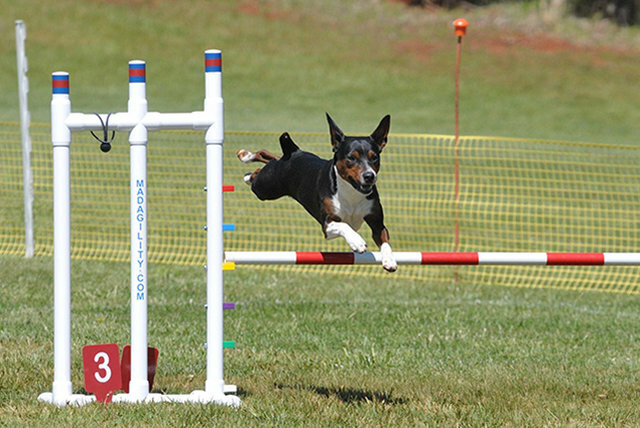 10.25.12 Marti won the Rat Terrier National Show in Grey's Summit, MO!!!! Proudly Co-owned with Sharon Blair in Shorter,AL. Buck resides in PA. Height: Estimated to be 14 1/2"
Rock-E-Hill 2B Naughty or Nice?